ITV Studios’ ‘Love Island’, is a hit reality tv show featuring contestants, known as Islanders, who live in isolation while under constant video surveillance. The shows are a huge success. The debut of Season 4 of the UK series in 2018 was the most watched digital television program since the 2012 Summer Olympics, averaging nearly 4 million viewers per episode. Other international territories have latched onto the success, with Australia, Germany, Sweden, Norway, Denmark, Germany and the USA picking up the format. The Australian Season 1 aired in June 2018 and averaged over 200,000 viewers per episode. 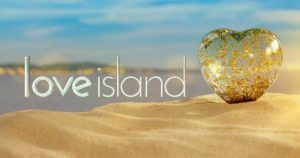 Australian based Cutting Edge has provided Post production services for the last 4 years to Love Island and recently completed the UK and Australian productions on the island of Mallorca in Spain. Key to the infrastructure on Love Island’s post production workflow is the Pronology mRes encoder, which fits well into the needs of such a production due to its reliability and robustness when dealing with 24/7 recording scenarios. Love Island Australia is a typical configuration, where 3 x mRes systems record 10 channels of HD media. Real-time encoding of 8 streams is output as HDnX145 to Avid Nexis with Interplay check-in for immediate availability to the production team in 23 edit suites. At the same time, the stream is encoded at XDCAM50 to a large capacity nearline storage for use as an archive and safety record. Two (2) additional mRes channels are utilized to record low resolution proxies for library browsing. Because the mRes recorder allows multiple codecs and wrappers per record channel, the workflow is greatly simplified over traditional external transcode solutions. For Love Island Australia, the mRes systems generated upwards of 26 terabytes of media per day. “The ability to control multiple mRes systems from a single interface makes configuration and monitoring much simpler than other systems. Our install and configuration time for a large record channel count has gone from days to hours, and our technicians love the intuitive interface.” says Burton. Pronology mRes utilizes an internal loop record system that allows media to be ‘extracted’ from the record loop and transcoded to a wide variety of output formats for editing and streaming. The system architecture provides the mRes with inbuilt resilience to handle network and storage inconsistencies and interruptions. Unlike other systems on the market, the mRes loop records uncompressed media for a consistently high quality, even when outputting different codec types. Features such as media ‘chunking’, the ability to automatically break output files into smaller chunks for easier ingest, are perfectly suited to environments where fast access to media is required.